The big firms say they can deliver the forward-thinking, bigger picture solution but from our experience rarely do. We really can. Our independent and entrepreneurial structure allows us to do it in a much more personal, efficient and economical way. With the goal of bringing endowment-style investments to individual investors, we advise client families with a cumulative net worth over $1 billion. Learn how we can provide you access to asset classes, strategies and asset managers that are typically only available to the largest investors, such as endowments and pension plans. 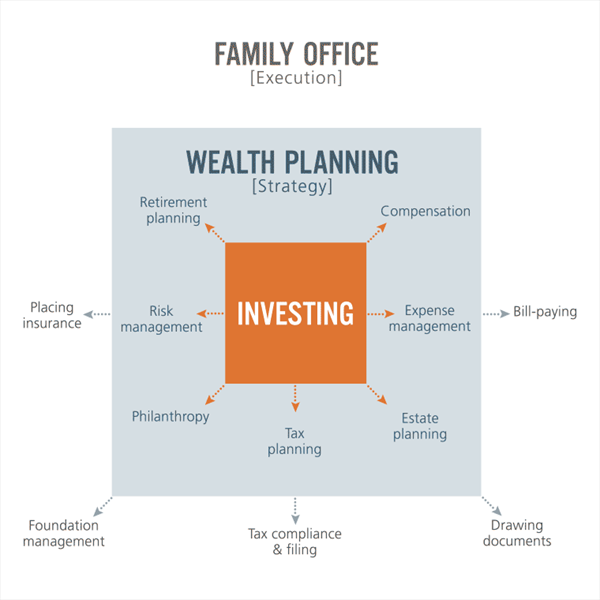 Preserve and grow your wealth—in a way that's meaningful to you and your family. Keep in the family what you have worked so hard for. Design estate, gift planning and charitable giving according to your values and goals. Navigate options for business income and liquidity events. Simplify the complexities of wealth. We're in the business of providing you with our multi-family solutions, with access to all of the resources, services and choice you need. Pursuant to requirements imposed by the Internal Revenue Service, any tax advice contained in this communication (including any attachments) is not intended to be used, and cannot be used, for purposes of avoiding penalties imposed under the United States Internal Revenue Code or promoting, marketing or recommending to another person any tax-related matter. Please consider the investment objectives, risks, charges, and expenses carefully before investing in Variable Annuities. The prospectus, which contains this and other information about the variable annuity contract and the underlying investment options, can be obtained from the insurance company or your financial professional. Be sure to read the prospectus carefully before deciding whether to invest. The investment return and principal value of the variable annuity investment options are not guaranteed. Variable annuity sub-accounts fluctuate with changes in market conditions. The principal may be worth more or less than the original amount invested when the annuity is surrendered. Guarantees provided are based on the claims paying ability of the issuing company. Riders are available for an additional fee - some riders may not be available in all States.